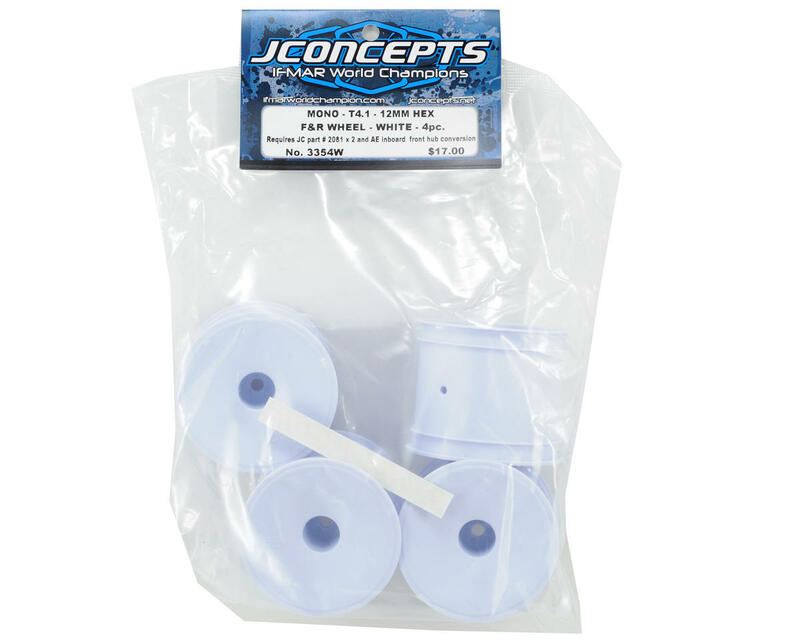 This is a set of four JConcepts Mono 12mm Hex Wheels, and are intended for use with the Team Associated T4.1 1/10 scale stadium truck equipped with the optional 12mm hex conversion. For many years the standard option on the Team Associated 1/10th truck has been a proven bearing front wheel and pin-drive rear wheel setup. Times have changed, JConcepts - Mono 12mm hex wheels are the latest accessory available for the Team Associated T4.1 truck. Racers have asked for years for an interchangeable front and rear wheel on the T4 and JConcepts has delivered. With the recent release of the Team Associated 12mm hex conversion, converting to a more durable interchangeable wheel setup is easier than ever. 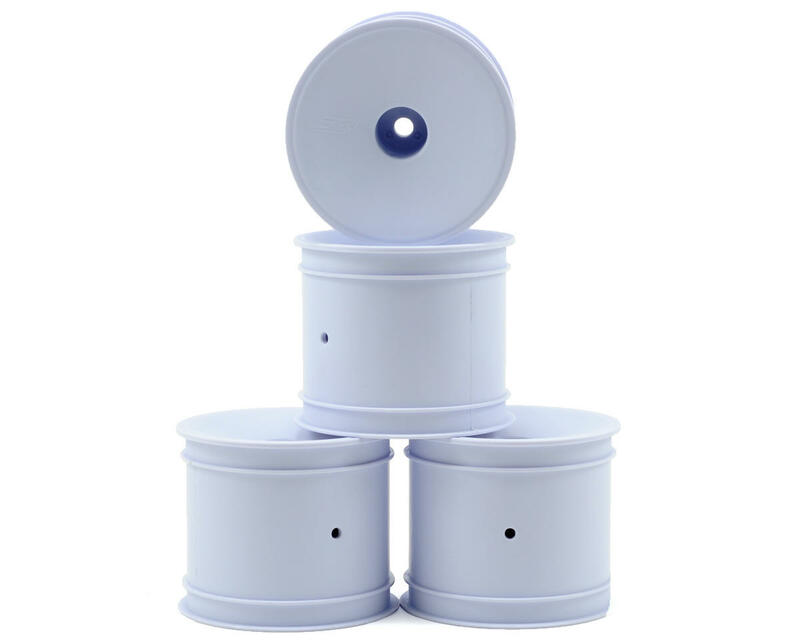 JConcepts replacement wheels are designed in the popular dish style and available in white and fluorescent yellow. To use the Mono 12mm hex wheel on the T4.1 it requires JConcepts Front Axles (JCI2170), 12mm Clamping Hexes (JCI2081) on the front and rear of the vehicle, and also the Team Associated Front Steering Blocks (ASC9880).